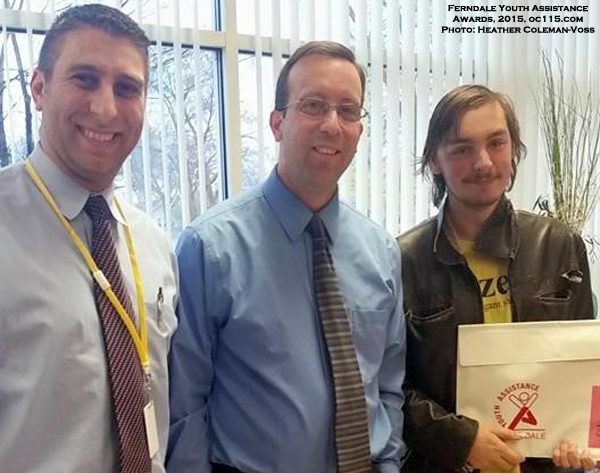 NOAH MITCHELL: Noah was nominated by his teacher, Cynthia Krencicki. She nominated him because Noah is an excellent math and reading student. He is a good friend to all within his classroom and follows directions every day. He helps the teacher each morning taking down chairs and getting the classroom ready for his class family. He is our classroom resident computer helper. He assists his fellow classmates when any glitch comes up. He knows all of the passwords for our programs and is always ready to help each of his classmates with a smile. Outside of the classroom, Noah is very involved with competitive wrestling. He was invited to compete at the State level this year. Noah also received “Student of the Month” honors this past fall. EVAN NORRIS: Evan was nominated by his teacher, Judy Smith. She nominated him because Evan is one of the kindest students she has ever had the opportunity to work with. He always comes to school ready to give his best and ALWAYS brings his big, contagious smile! With a sunny attitude, Evan greets the entire classroom every day. He is very compassionate and, often during the classroom discussions, he shares ideas with his peers about how to be a good classroom citizen and how to stand up to bullies. Because Evan is so well-spoken, he uses his skills to support his church. He often spends 1-2 hours each week reaching out to other children and community members. Evan is admired and respected by young and old alike. Evan is truly an example of someone who uses the best parts of himself to help others. At the same time, he continues to improve upon his own deficits. There is no doubt that this young man will grow even more successful as the years go by! NA’KHIA SIMMONS: Na’Khia was nominated by her teacher, Cynthia Krencicki. She nominated her because Na’Khia is a hard worker who has made great gains in reading and math so far this year in second grade. She is a quiet leader within the room. She follows all directions and is ready to help others all of the time. She assists the teacher with cleaning up the room at the end of the day, stacking chairs and sharpening pencils so that her class family will have a clean room and sharp pencils when they walk in the next day. She is friendly to all students every day. Na’Khia is a very talented girl. She is hard working and an adept karate student! She, along with her karate teacher Mr. George, will be giving a demonstration to our class family! Taryanna Williams: Taryanna was nominated by Lauren Klos, caseworker with Ferndale Youth Assistance. Taryanna is a bright and outgoing child. She has made great progress in many areas this past year including her grades, exhibiting positive behavior and developing stronger friendships. Taryanna has worked hard at making these improvements and deserves to be recognized for her efforts. 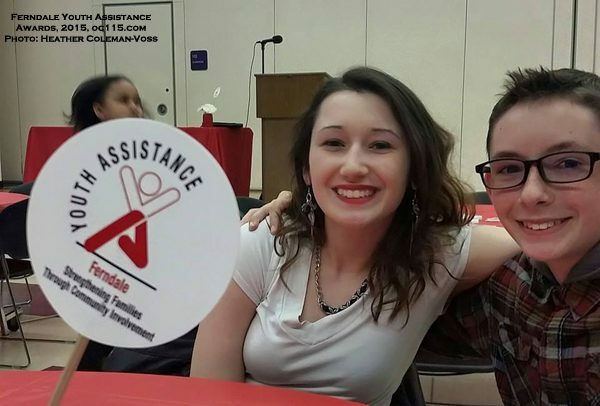 Ashtyn Blair: Ashtyn was nominated by Lauren Klos, caseworker with Ferndale Youth Assistance. Ashtyn is a sweet sophomore who has overcome a great deal of adversity over the past few years. The hardships she experienced interfered with her success at school, but now her grades are improving, she is coping well with life stressors and she is gaining in self-confidence. Her personal strength is admirable and her new-found joy in life is most worthy of recognition! 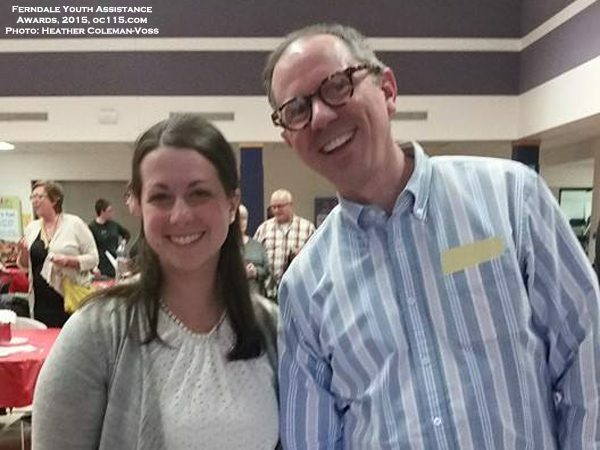 Cate Crocker: Cate was nominated by Lauren Klos, caseworker with Ferndale Youth Assistance. Cate possesses an incredible amount of personal strength. She has overcome hardships and has allowed those challenges to help strengthen her character. She has made many personal improvements as well as improvements in her grades. She has also been very successful in softball, in which she has a passion and talent, and plays for multiple teams throughout the year. Overall she has gained great self-confidence and self-discipline during this past year, which has greatly benefited her in many areas of life. Matthew Lawrence: Matthew was nominated by Lauren Klos, caseworker with Ferndale Youth Assistance. Matthew has made great efforts in making many improvements over this past year. He has made progress in school and in how he copes with different situations. He has improved in self-awareness, which has helped him be more successful in school. He has also overcome bullying from the past and has exhibited positive ways to stand up to bullies! Markell McCoy: Markell was nominated by Officer Janessa Danielson of the Ferndale Police Department. Markell is involved with the Peer-to-Peer program. He was quick to assist with his peer-to-peer student after his class was over. The student was visibly upset and was going to miss his bus. Markell helped carry the student into a wheelchair and helped calm down the student. Markell is very compassionate with the student and is a wonderful asset to the Peer-to-Peer program! Rebecca Phoenix: Rebecca was nominated by Julia Music, a community volunteer and chairperson of Ferndale Pride. Rebecca goes above and beyond in our community and in the world! Her volunteer activities are truly outstanding for a person of her age. She is involved in so many community activities that it’s hard to list them all. Rebecca is a great voice for our community and will be very successful no matter which career path she chooses! Alexandria Ross: Alex was nominated by Lauren Klos, caseworker with Ferndale Youth Assistance. Alex has made incredible improvements over the past year. Her grades have improved and she is able to make it through the school day with confidence and without interruption. Alex has overcome many adversities and hardships from her past, many of which interfered with her success in school. She has grown in many ways, most notably in self-confidence and being empowered to stand strong for herself! McKenna Voss: McKenna Voss was nominated by Amy Butters, member of the Ferndale School Board. McKenna has called the theatre department home for six years now, both on stage and back stage. This year, she took on the stage manager role for Wizard of Oz with so much grace and professionalism, keeping her cool under pressure and mentoring younger kids on backstage tasks. Theatre Director, Melissa Smith, sent an email to the cast in which she talked about McKenna. The email said “I’m not sure how I will carry on without McKenna next year! I will miss her dearly for a million different reasons! She has been a blessing to me over the last six years!” Outside of the theater department, McKenna also has taken initiative in the Peer-to-Peer program. At the request of her teacher, McKenna sought out potential employers for the FHS program that finds work experience for autistic students. She was able to make connections with many local business owners on behalf of the Peer-to-Peer program! McKenna is graduating and will be missed by so many of in the Ferndale Schools! COOLIDGE/KENNEDY COMBINED SIXTH GRADE CHOIR: The choir was nominated by their director, Mrs. Mary Brown. The members of the combined Coolidge/Kennedy Sixth Grade Choir were invited to sing for the Ferndale and Blues Music Festival this past winter. The students worked very hard to prepare the music for the performance and stayed after school to perform at The Kulick Center on January 28th. The students were very enthusiastic about sharing their music with the community and very excited that they were able to take part in this very special charitable event! ROOSEVELT PRIMARY SCHOOL GREEN TEAM: The Green Team was nominated by their teacher, Ms. Derigiotis. The Green Team works hard as the recycling team for Roosevelt Primary School. Each week the students collect recycling bins from around the school and take them to the large recycling containers outdoors. The students are also conscious of what needs to go in the recycling bin in their own classroom to help reduce waste. Roosevelt’s Green Team is “protecting our planet one recycling bin at a time!”. Thank you to the students for quickly taking care of this task in a timely and effective manner! ROOSEVELT PRIMARY SCHOOL PLAYWORKS JUNIOR COACHES: The Playworks Junior Coaches were nominated by Nicholas Leedy.. The Playworks Junior Coaches are a diverse group of 13 third grade boys and girls who are actively serving their school family through organized play and solving conflict on the playground. They volunteer their own recess and other time throughout the day to serve four recess times a week. They also meet for an hour after school, twice a week, with their coach to learn about leadership, conflict resolution, inclusion and work on their skills for their job. Their job involves helping kids find a spot in their class line before they are sent out for recess. They then attend and participate in a game station, resolve any conflicts using techniques learned at their meetings and then help lead a cheer before the students are walked back to lunch. They work hard at being punctual, having compassion for other students and their needs even when it is hard, solving disputes, leading by example and helping around the school and in their classrooms. They work hard but they play hard too! They make kids and teachers laugh, are always ready for a game and make it a fun environment for all! 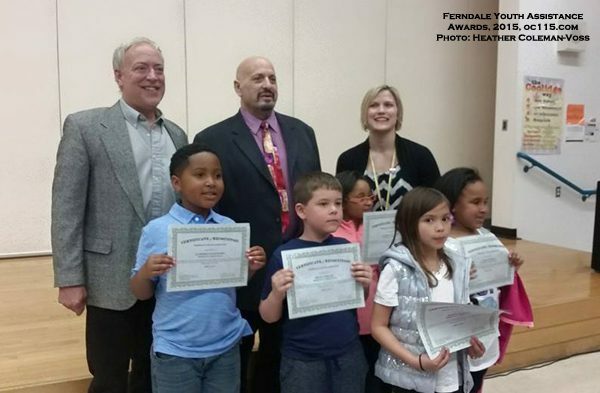 ROOSEVELT PRIMARY SCHOOL SERVICE SQUAD: The Service Squad was nominated by teacher, Ms. Beth Derigiotis. The Service Squad at Roosevelt Primary is made up of a selective group of 3rd graders. Service squad members are in charge of assisting out kindergarten students to the buses or pick up porch at the end of each day. Some members also assist our secretaries in the school’s office. This is a very important job and the qualities a student must possess to be selected for the service squad include responsibility, helpfulness, kindness and respectfulness. Thank you to the students for their patience and efforts to keep Roosevelt a safe place for everyone! FERNDALE HIGH SCHOOL DECA: DECA was nominated by the DECA Advisors and Ferndale High School teachers, Ms. Oliver and Mrs. LoPiccolo. DECA is in it’s second year of activity. DECA prepares emerging leaders and entrepreneurs for careers in marketing, finance, hospitality and management in high schools and colleges around the globe. This academic club is a lot of fun but can be a lot of work. FHS DECA students are dedicated to working hard and preparing to become tomorrow’s leaders. They have worked hard all year to prepare for competitions. Six students earned spots to compete at the state conference in March and one team of two students earned a spot to compete at the highest level of competition, The International Competitive DECA Conference, in Orlando Florida. We are proud of what this small group has been able to accomplish, their dedication and how proudly they represent Ferndale High School students. This is a very hard working group of students that will no doubt grow and succeed. 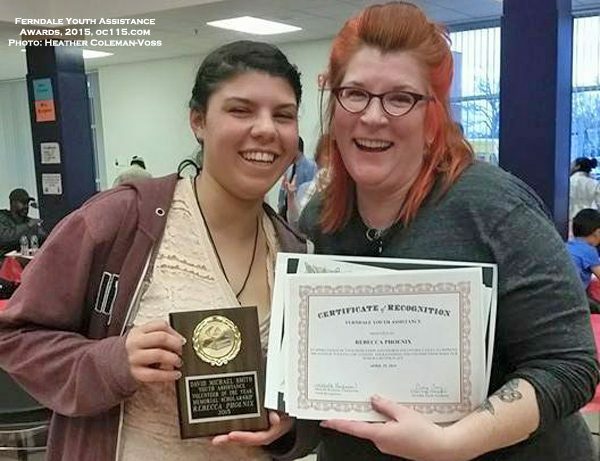 FERNDALE YOUTH ASSISTANCE YOUTH INVOLVEMENT COMMITTEE: The FYA Youth Involvement Committee was nominated by School Resource Officer Janessa Danielson of the Ferndale Police Department. The Youth Involvement Committee has volunteered their time to assist with the electronics initiative. This initiative involves encouraging students to be more responsible with their phones, tablets, etc. and to watch them more closely so they do not lose their electronics. Their creativity has been tremendous. Their commitment to helping their school and community is wonderful! They are currently in the process of recruiting volunteers for the upcoming “Full Bowl Event” being held June 6th at Ferndale High School. 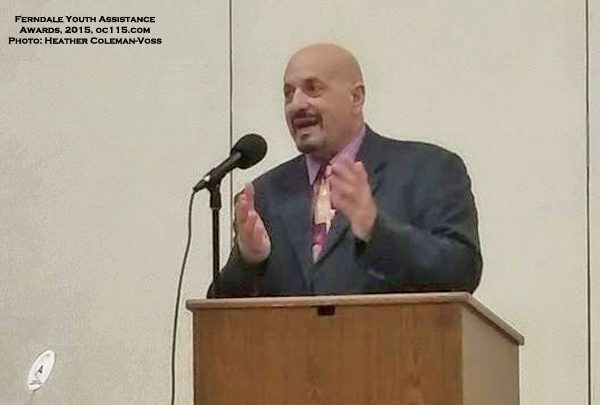 They will also be implementing a “No Swear November” project during the next school year which will encourage students to monitor their language more closely and to stop routinely swearing. Ferndale Youth Assistance is grateful to have the time, effort and talents of this great group of students! Learn more about Ferndale Youth Assistance at http://ferndaleya.org/. For more on Ferndale Schools visit www.ferndaleschools.org.